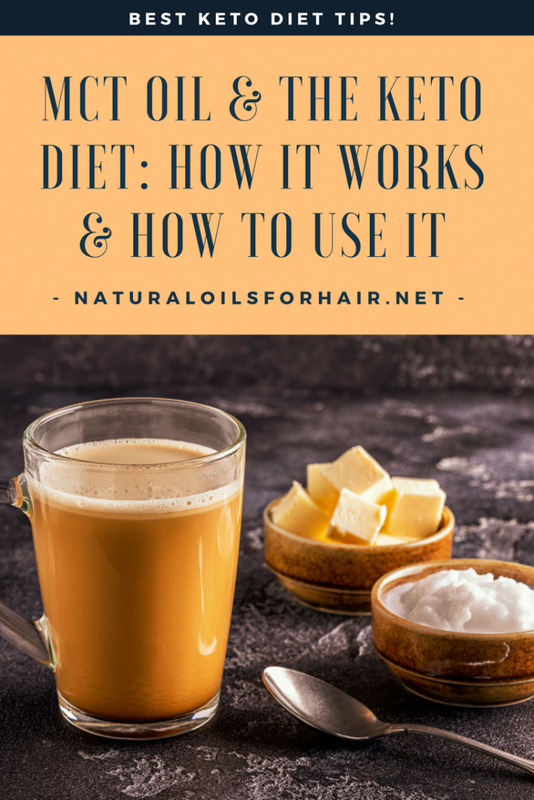 MCT oil for weight loss and use in the keto diet isn’t just a hype and research has shown that including saturated fats in your diet help maintain a healthy body. Saturates fats are easy to digest and are a good source of energy in addition to many other benefits. 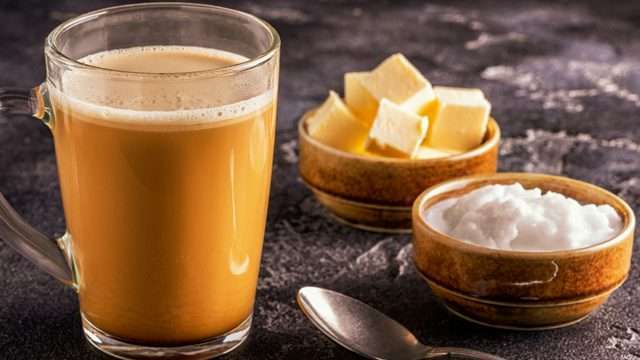 The popularity of MCT oil has grown in recent years due to “The Bulletproof Diet.” The Bulletproof Diet promotes a signature breakfast that includes bulletproof coffee – a combination of coffee, butter, and MCT oil but what is MCT oil? 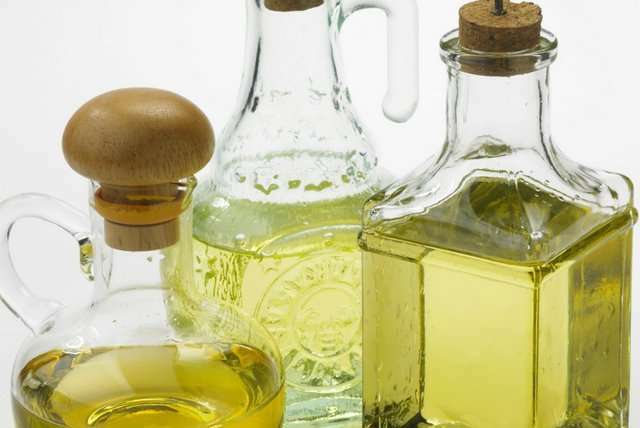 What is MCT Oil for Keto? MCT oil is oil that contains medium-chain triglycerides. Medium-chain triglycerides or medium-chain fatty acids are saturated fats the body finds very easy to digest. They are passed directly to the liver and used as an immediate form of energy. MCT oil is obtained from coconut oil and red palm oil but some brands may also have a few other omega-3 oils added. MCT oil is liquid at room temperature and tasteless. It also comes in powder form. 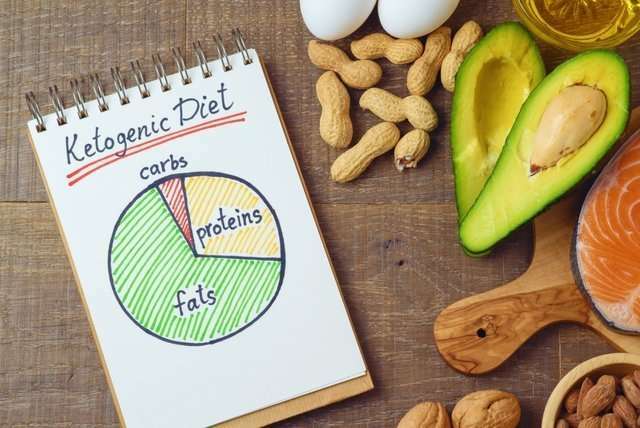 If you remember, the aim of the keto diet is to eat foods that the liver will convert into fatty acids and ketone bodies your body can use an energy source instead of glucose. By passing directly to the liver and used as an immediate form of energy, MCT oil helps your body optimize the weight loss process. MCT Oil vs Coconut Oil for Keto. Is There a Difference? If you’re unfamiliar with coconut oil, it’s the only natural oil that contains a significant amount of medium-chain triglycerides with red palm oil containing a small amount. Both of these oils were featured in 10 Recommended Cooking Oils for the Ketogenic Diet. Breast milk, goat’s milk, ghee, cheese, and butter also contain MCT oil. The question here is if you’re already including both coconut oil and red palm oil in your diet, do you also need to include MCT oil? Is there any difference between coconut oil and MCT oil? MCT oil contains a combination of capric and caprylic acid while coconut oil primarily contains lauric acid. MCT oil doesn’t contain lauric acid. MCT oil provides fast and lasting energy while coconut oil provides more immune system benefits. Purely for the benefits of ketosis, MCT oil is more concentrated and better. If you don’t like the taste of coconut oil, MCT oil is a good alternative. Both MCT oil and coconut oil can be used for high heat cooking. There have been reports that MCT oil causes stomach discomfort so this is up to how your body takes to it. Start with small amounts. Personally, I prefer adding coconut oil and red palm oil to my diet and I’m doing quite well with it so it boils down to your personal preference. How to Use MCT Oil? It’s added to coffee with The Bulletproof Diet. You can also add it to tea. MCT oil can be added to smoothies, salad dressings, and shakes. MCT oil can be used for preparing dishes included in the keto diet such as guacamole and nut butter. Take 1 teaspoon of MCT oil every morning after a meal. Start with 1/2 teaspoon if you’re new to MCT oil. A tablespoon of MCT oil per day is more than adequate. Its calorie dense and 1 tablespoon comes in at 100 calories. Don’t start consuming enormous amounts of MCT oil in an effort to speed up ketosis as this can backfire and lead to severe digestive issues. It won’t kill you but can be a very unpleasant experience. Can You Take MCT Oil on An Empty Stomach? Do not take MCT oil on an empty stomach especially if you’re a newcomer to it. Taking MCT oil on an empty stomach can cause diarrhoea, stomach ache and GI issues. If you have any medical issues or are pregnant/nursing, you should consult your primary care physician before including MCT oil in your diet. Do you like MCT oil? Or do you prefer coconut oil and red palm oil? Share your experience in the comments section. You can find a complete breakdown of the science behind MCT oil at DrAxe.com.